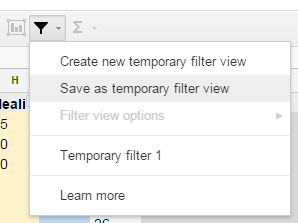 If you want to filter by instance or whatever else, click the Filter button and choose Save as temporary filter view. EDIT: The gear values account for 5/5 Spiritual Guidance, if you do not have the talent the gear order is different. EDIT2: Please do comment if you see missing items of importance and/or stats that aren't correct. EDIT3: Added a couple of wands, removed conc/healing items, added some items, edited stats and updated according to the comments. Last edited by Macalister on Thu May 21, 2015 5:51 pm, edited 7 times in total. Just added them as a reference, I cant see Benediction ingame so Im not sure of the stats. I cant take full credit, just made it easier to sort through, added some items and reshuffled the gear. Credit goes to Kurthos from (Blacklisted). Hi, I don't see wand BiS in holy and wand bis is small in shadow. I believe wand BiS is a 50+ green wand with +healing for holy. ALSO, does anyone know if shadow damage wands work with the shadow weaving talent? reddeffect wrote: I believe wand BiS is a 50+ green wand with +healing for holy. +healing greens don't exist, you pretty much want the one from scholo or a high level "of the owl" green. Shadow weaving is all shadow damage taken, even from other classes. So a shadow dmg wand should work, I don't see why not. If you mean stacking the actual debuff, no it does not. Shadow wands don't work with shadow weaving talent. I know this is counter intuitive but it's always been the case. You state spell crit counts as 10 points. Wouldn't that make Eye of the Beast get on the list, having 2% crit which translates to 20 points and even be on par with / just below Second Wind according to the current list. I just have a question on the stat weights. Why is 1mp5 at 3 and spr at 0.7? I will do a comparison on two chest items: Alanna's Embrace and Nature's Embrace. Alanna's Embrace: 20 stam 20 int 20spr and 11 +heal no mp5. 1 point of spr equals 0.125 mana per second, or 0.625 mp5 while not casting. 1 spr also equals 0.25 +heal. 20 spr would equate to 12.5 mp5 while not casting and with the talent meditation, 1.875 mp5 while casting. Now add the +heal which would be an extra 5 +heal. This would make the item have 12.5 mp5 out of 5sec cast and a total of 16 +heal. Don't forget the extra mana of the int as well. So, is Nature's Embrace better than Alanna's embrace like your spreadsheet says? Edit: Choker of enlightenment link: http://web.archive.org/web/200503011152 ... item=17109 It is missing on your list.